You don’t need us to tell you that hosting an enterprise website is wildly different from hosting the “average” website. With a mission-critical website, areas like security, availability, and scalability go from “nice to have” to “absolutely essential.” And most hosts just aren’t set up to handle that kind of pressure. AWS Enterprise Hosting is, though. That’s why companies like Comcast, Unilever, and Netflix all rely on AWS. And that’s also why AWS dominates the cloud infrastructure market. In this post, we’ll share some of the specific reasons that we think AWS hosting makes an excellent hosting solution for our enterprise WordPress clients. With an enterprise website, security is always going to be at the front of your mind. Yes, performance certainly matters. But performance doesn’t mean anything without security. Sometimes that security comes purely from internal needs, while other times you might also be facing regulatory compliance issues for how you store and process data. In either situation, AWS has infrastructure that can help. AWS hosting operates on a shared security responsibility model. Essentially, AWS shoulders the full responsibility for the security “of” the cloud, while customers are only responsible for things “inside” the cloud like client-side data encryption and application security. In practice, this means that AWS is able to handle some of the burdens that would otherwise fall on your organization in other hosting setups. To create a secure cloud environment, AWS employs firewalls and other boundary devices to monitor activity at the external boundary of the network, as well as key internal boundaries. For more information about the full set of practices and policies put in place to keep the cloud secure, the detailed (99 page) AWS security white paper is a great place to start. Individual customer accounts are also isolated from each other via AWS’ Xen hypervisor. To ensure that customer data is never exposed to others, no individual customer instances have access to raw disk devices. And memory is always scrubbed before it’s returned to the pool of available memory. Through the AWS Identity and Access Management Tool (IAM), you can create pinpoint permissions for user accounts to control exactly what every single authorized user has access to. For more security, you can also force multi-factor authentication for privileged accounts. In addition to receiving multi-factor authentication codes via smartphone or tablet, AWS also supports tamper-evident hardware devices for receiving multi-factor codes. AWS gives you access to detailed monitoring for both users and API usage through its CloudTrail service. You can view and log everything from actions taken in the AWS console to command line tools. Combined with Amazon CloudWatch, you can also set up notifications to trigger when certain events occur or thresholds are reached. If you’re operating in a regulated industry, compliance can be a tricky issue. 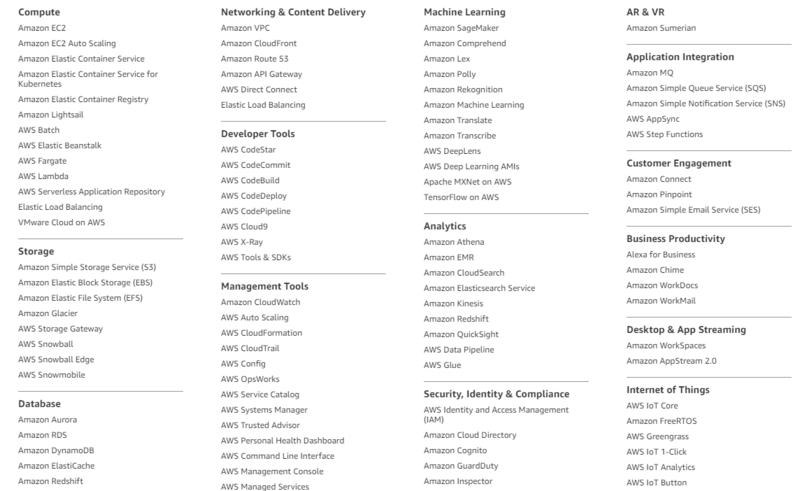 To help make it simpler to stay on the right side of the law, AWS offers compliance programs for a variety of key industries. 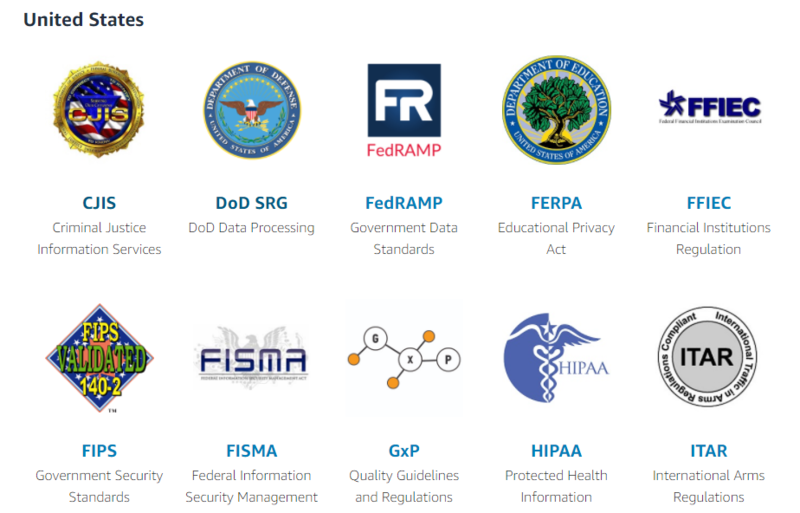 In addition to compliance programs for many Federal regulations in the United States, AWS also supports a wide variety of other global and country-specific compliance programs. AWS adopts a transparent approach to security that keeps you updated on best practices and any potential issues. Beyond public security bulletins, AWS also offers the aforementioned 99-page white paper on general AWS security practices, as well as an entire category containing other security white papers for various aspects of the AWS ecosystem. Beyond security, another major benefit of hosting your enterprise site with AWS is worldwide coverage. If you’re like many businesses, it’s important that your website performs just as well no matter if your visitors are coming from Paris, France, Paris, Maine, or Paris, Texas. 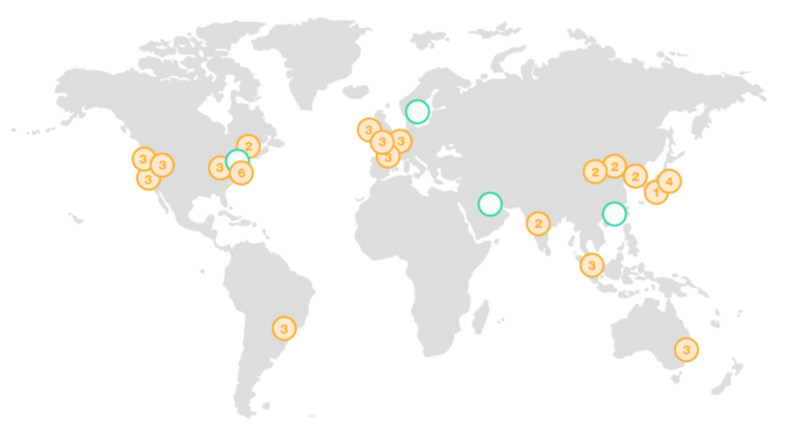 AWS is also in the process of adding 12 more Availability Zones across 4 new Regions. Unlike most hosting providers, AWS lets you place instances in multiple different locations to expand your coverage. And to further speed up the global distribution of your content, you can easily integrate with the Amazon CloudFront CDN. AWS web hosting helps your site maintain high availability and performance during both periods of high and low activity through its easy scalability. Features like Auto Scaling can help you dynamically scale up when you need more resources, and then decrease resources during less busy times to lower costs without losing performance. You can define what conditions you want to use for Auto Scaling, so everything is still always under your control. And you can also manually scale resources as needed. Beyond auto scaling, AWS web hosting also makes it easier to diagnose specific bottlenecks because it gives you access to the full stack. With a traditional host, your option for scaling is essentially to “upgrade to the next plan.” With AWS web hosting, you can address the actual bottleneck – like directing more resources for elasticsearch or devoting more resources to your database. For many organizations, the sticking point with AWS can be complexity rather than functionality. With its ever-expanding set of connected services, it’s hard to know how to get the most out of the AWS ecosystem without expert knowledge backing your infrastructure. Not only has our lead developer trained extensively with AWS, but we also offer full hosting and application support utilizing AWS. Because we offer full stack support, we’re able to diagnose both application layer and hosting problems to give your site the proper foundation for success. Contact us to learn more about how we can help you create a more secure, globally scalable environment for your enterprise WordPress site.